Sale Alert: Cherry Mobile Alpha Prime 5 Is Priced At Just PHP 1999! Home / cherry mobile / mobile / news / Sale Alert: Cherry Mobile Alpha Prime 5 Is Priced At Just PHP 1999! Just in! 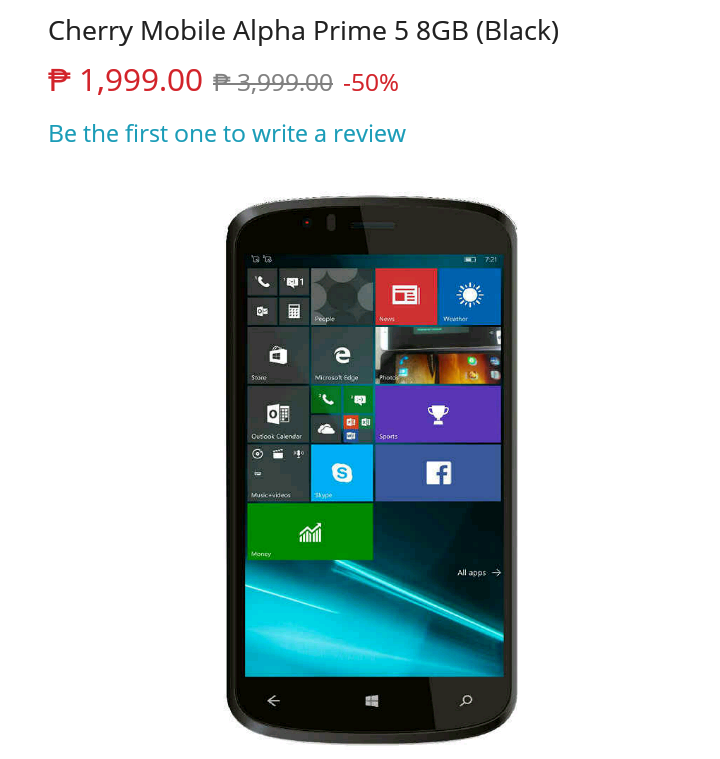 At Lazada's website, the Windows 10 powered Cherry Mobile Alpha Prime 5 is on a HUGE price cut. It's a 5 inch HD handset equipped with 1.1 GHz Snapdragon 210 chip, 1 GB RAM, 2,100 mAh battery, 8 MP main camera, 2 MP selfie camera, and LTE connectivity. This phone also has a dual micro SIM card slot. From the regular SRP of PHP 3,999, the Cherry Mobile Alpha Prime 5 is now priced at just PHP 1,999!